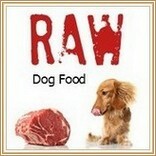 Dog Food Ratings - Where Does Your Favorite Rank? Trying to choose the right diet for your dog can be a bit of a minefield these days, but having access to dog food ratings for many of the most popular choices on the market can really help. the most important thing to consider when choosing dog food is that it's the ingredients that make (or break) the formula. The ratings on this page were reached using Sarah Iricks' method of grading dog food, which uses a detailed points system to determine the overall value/quality of any individual food based on the quality of those ingredients. Knowing which are the best rated choices is hugely valuable, because knowing which foods are going to provide the best quality nutrition for your pet has a huge impact on his future health, the quality, and even the length, of his life. Choosing the best nutrition for your pet is easier when you see that each of the foods below have already been evaluated using this ratings sytsme, and the individual 'score' for each of them has been given (anywhere from an 'A+' to an 'F'). It's also simple to apply the exact same ratings system to any brand or formula, and that way you can evaluate the diet you're already feeding, or plan to use, even if the food is not on the list below. 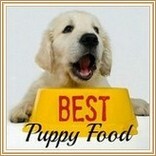 To see the formula used on this page, and to learn how to use it yourself, just visit my Dog Food Comparisons page. What goes into any dog food in terms of ingredients is the most important indicator of the quality of the food itself, but what doesn't go into it is important too! 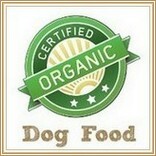 This dog food ratings system takes both of these things into account, and is an excellent way to get the 'big picture'. But it's also important to know that dog food formulas change from time to time, manufacturing processes change, and companies are bought and sold. The ratings here were compiled a while ago, so it's worth double-checking the ingredient list of any food you're interested in to make sure there haven't been any significant changes. 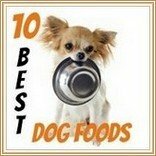 This is a pretty comprehensive list of dog food brands, but there are just so many different foods available today that it's simply not possible to provide evaluations and ratings for them all. If you are using a certain food and it 'works' for your dog, keeping him in great shape with a healthy, shiny coat and tons of energy... feel free to evaluate it using this system. If it scores a 'B' or above and you'd like to see it added to the dog food ratings list above, just go to my Contact Us page and let me know the brand, formula and rating and I will add it to the list. If you'd like to see how a number of popular dog foods compare to each other in terms of ingredients and nutritional components, you may also want to check out my Dog Food Comparison page.